Hizuki, the ex-guitarist of XodiacK, will be releasing a currently untitled single with new band Orochimaru (Naruto reference, possibly? Let’s hope not.) on July 9th. I’m hoping its good because this guy could shred. Praise the high heavens, I haven’t destroyed Visual Kei after all! Look what I’ve found! ANOTHER VK band where the people who look like chicks are chicks! No guessing! No pondering! No uncomfortable moments! 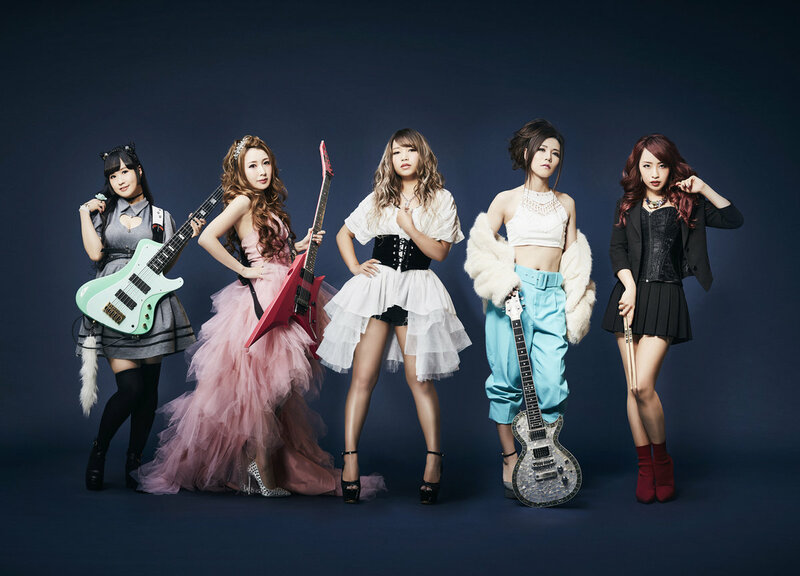 Aldious, like exist trace, is a Visual Kei band consisting entirely of females. I’d put their sound in between the brutal exist trace and pop-rock group SCANDAL. They can rock out, but their vocals and melodies aren’t as grating or violent as exist trace. Defended Desire, besides having a cool name, is a fast-paced rock song with some incredible drums. They remind me of the machine-gun-sounding drums that you hear in Deluhi songs. But, the vocals sound a little apathetic and the lyrics are slightly repetitive. I’ll give these girls an A for effort as the song is pretty good. Maybe after a while they will come into their own and produce some stuff that will blow me away. Or I could totally jinx them and force them to disband/lose members, as I have seemingly done to XodiacK, Luzmelt, and Canzel. If this is the case, I will give gacktpause license to mock me for all eternity. 灰の雪 is a slower song and reminds me of older-style j-rock. Its nice, and the vocals are the best in this song. Her voice reminds me of Mika Nakashima in parts. Ultimate Melodious has a killer opening and the drums get to shine once again. I just couldn’t get into this song because the vocalist sounds like she could care less about the song. In Conclusion: The winning attribute of Aldious is its drums. The vocals need work. If I don’t sense emotion in any aspect of a song be it the voice, the guitar, whatever, then I don’t feel emotion either and I turn the song off. Still, give it a listen because these girls seem like they’ve got potential. Okay, y’all. I got about thirty minutes before Between the Lions comes on, and I’m not about to miss my “stories.” Haha. I stumbled upon this single entirely by chance. I liked the cover so I thought I’d give it a listen. I don’t know if you guys love experiences like that, but I sure do. 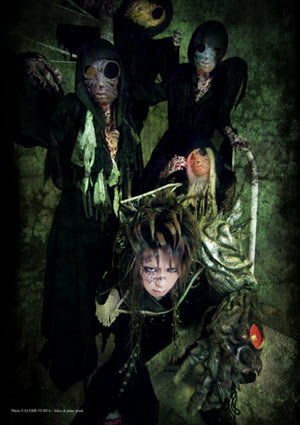 Luzmelt is a new-ish visual kei band that I had not heard of until yesterday. But apparently they played at Tekkoshocon back in April. They were right here in the U.S. and I didn’t even know it! They have released two mini albums called “Swallowed Scenery” and “Luz-Destination” which I’m going to check out as soon as I finish this review. “Sacrifice” is their first single. Sacrifice begins with a slow piano opening, which to me felt like a tip of the hat in the direction of the older style of Japanese rock from the late 80s and early to mid 90s. Then the song explodes into a hard, driven rock paradise with some impressive drums and robotic-sounding vocals. Totally unexpected. The song is a great journey through many styles of music. It moves from classic rock, to some techno elements, and into a comfortable Visual Kei sound. I also have to give props to the vocalist. 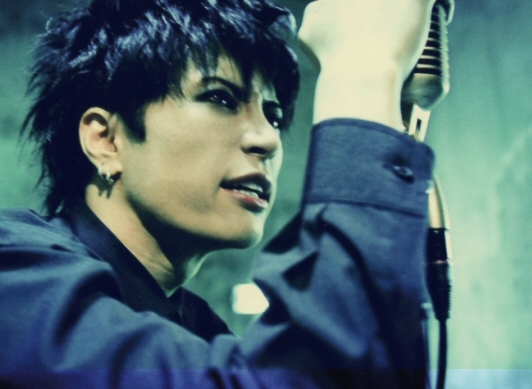 He seems very talented and for some reason his vocal style reminds me of Hyde in his younger days. The space-oriented PV for the song made me think of XodiacK’s PV for Kimi ni Furu Zetsubou no Ame. I miss XodiacK so much. Under the Starlight is a nice compliment to the a-side. In fact, I liked this song just as much as Sacrifice. That’s rare for me. The final song is a remix of a song called Blind Scope which I’m going to assume is on one of the two mini-albums. (Yup, it is. The original is found on Swallowed Scenery.) I liked this remix, but would not feel comfortable saying much else considering that I haven’t heard the original. Reader Question: What is the best song you’ve ever stumbled upon by chance?